28 Nov November 2018 Inspired Magazine: Featuring Pamela Salai! 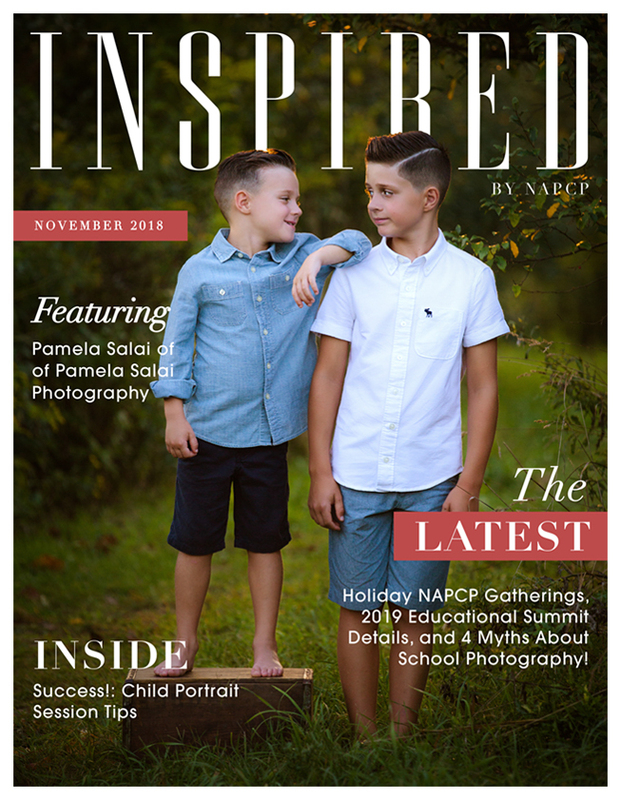 NAPCP’s November 2018 issue of Inspired magazine features Pamela Salai of Pamela Salai Photography, holiday NAPCP Gatherings, details on the 2019 Educational Summit, child portrait session tips, 4 Myths About School Photography, and more! Grab a cup of coffee and dive in!